It was another day of poor visibility with the cloud base lower than the snow line. The freezing level was above the summits and the snowpack was generally soft. 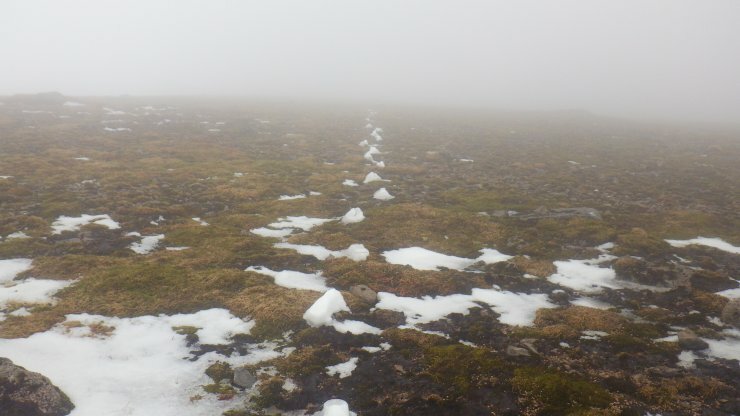 A line of raised footprints on the Aonach Mor plateau. Wind erosion and melting have removed the softer snow from round about but the compressed footprint snow remains.